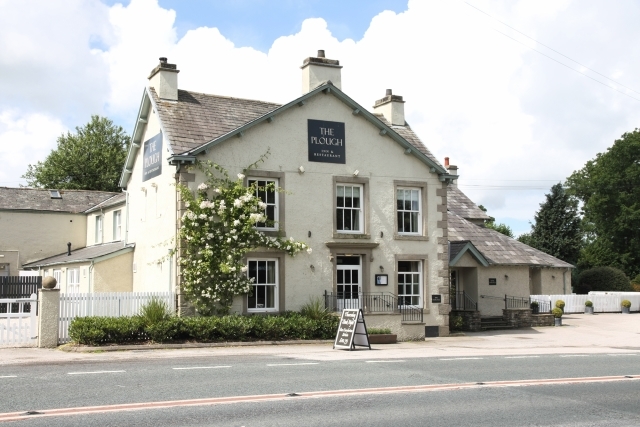 We've teamed up with The Plough at Lupton to offer you the chance to win an overnight stay in the Lake District, including dinner, bed and breakfast. Completely renovated in 2014, The Plough at Lupton is a stylish haven located in the heart of England's most beautiful countryside. Benefitting from a wealth of original features including oak beams and blazing fires, the inn provides the perfect backdrop to a luxury break from the norm. Whether you're looking to explore the Lake District, the Yorkshire Dales or Kirkby Lonsdale, the inn is an excellent place to return to. With a restaurant which serves local produce in seasonally focused menus, The Plough at Lupton's main aim is a simple one - that all guests enjoy an enjoyable and restorative stay. There are six bedrooms to choose from and all are equipped with luxury linens, decadent toiletries and can cater to couples and families alike. The Plough at Lupton is a marvellous spot for special occasions and can host wedding breakfasts for up to 85 guests going up to 120 in the evening. For your chance to win this wonderful prize, submit your details in the form below before 23 May 2017.